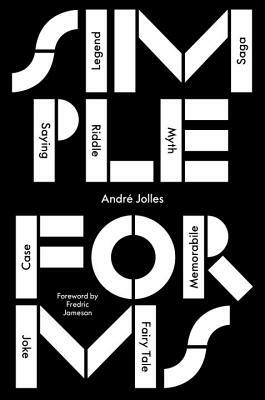 Legend, saga, myth, riddle, saying, case, memorabile, fairy tale, joke: André Jolles understands each of these nine “simple forms” as the reflection in language of a distinct mode of human engagement with the world and thus as a basic structuring principle of literary narrative. Published in German in 1929 and long recognized as a classic of genre theory, Simple Forms is the first English translation of a significant precursor to structuralist and narratological approaches to literature. Like Vladimir Propp’s Morphology of the Folktale, with which it is often compared, Jolles’s work is not only foundational for the later development of genre theory but is of continuing relevance today. A major influence on literary genre studies since its publication, Simple Forms is finally available in English. André Jolles (1874–1946) taught Art History, Archaeology, Cultural History and Netherlandic and Comparative Literature in Berlin, Ghent and Leipzig.